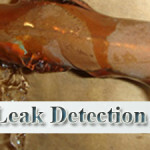 Gainesville Florida Water Leak Detection Service and Repair. It’s important to realize, a foundation (slab) supports what is most likely your largest investment, your home. 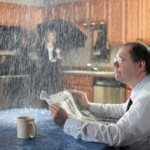 Because of their destructive nature, slab water leaks require early detection before serious structural damage occurs. 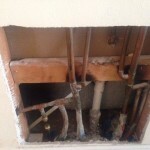 Due to the nature of a slab leak; chances, are in fact that if your home is over ten years old, you are probably already experiencing water leaks. In addition, nearly all homes in the Gainesville and North Central Florida area are built on concrete slabs. 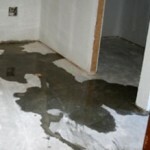 As a result, slab leaks are a very common problem for Florida homeowners. Therefore, if you suspect that you may have a water leak in your slab or other parts of your home; as a result, it’s critical to have any water leak repaired by a leak detection specialist. 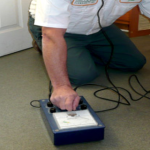 Most noteworthy, because, at Leak Detection Gainesville we use state-of-the-art leak detection equipment. 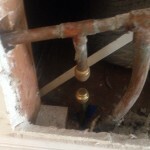 In addition, we will also locate the source of the leak; and, then determine which method will work most effectively to repair it. 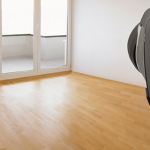 Finally, after our evaluation, we will then provide a written estimate for the most cost-effective solution; as well as, the costs associated with the repairs. 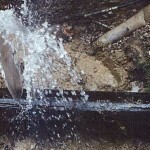 Consequently, slab leaks because of their nature can be tricky to detect. So, if you suspect that you may have a water leak in your slab or other parts of your home; indeed, it’s critical to have any water leak repaired by a leak detection specialist. 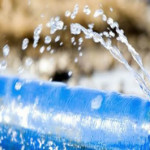 Therefore, if you are experiencing problems associated with water leaks; call Leak Detection Gainesville today for a water leak assessment before major repairs are needed. Furthermore, Leak Detection Gainesville has also been providing leak detection services to Gainesville Florida; and the surrounding area for well over a decade. Also, be sure to ask about our many other services as well.